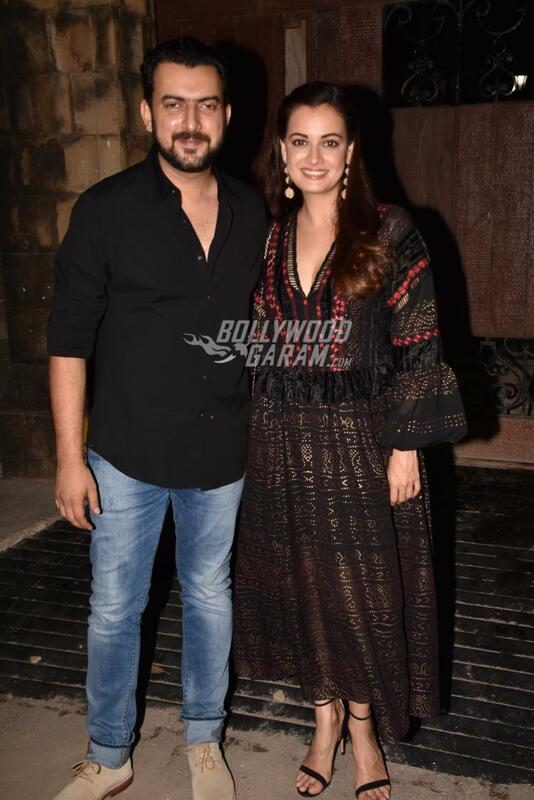 Neha Dhupia and Angad Bedi had surprised their friends as well as fans when they suddenly announced the news of their wedding in an intimate ceremony on May 10, 2018. 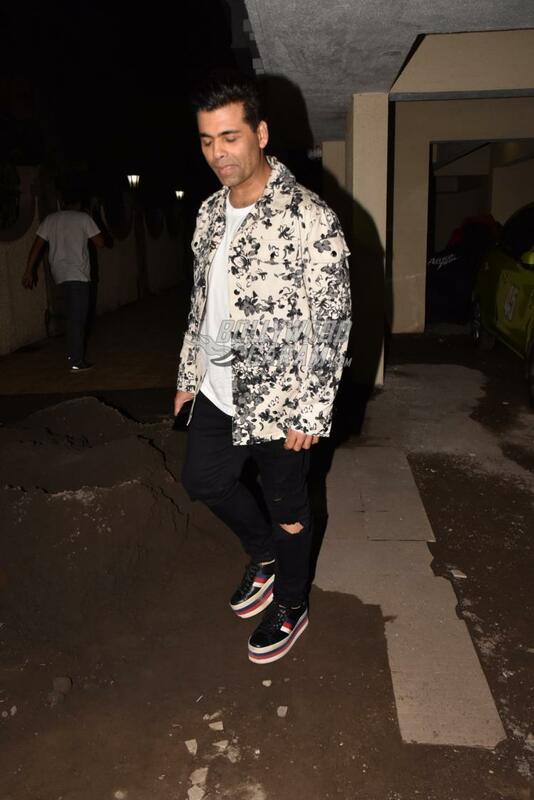 Many of their close friends were left surprised over the news. The newly-weds hosted a dinner party for their close friends at their residence in Mumbai on June 6, 2018. 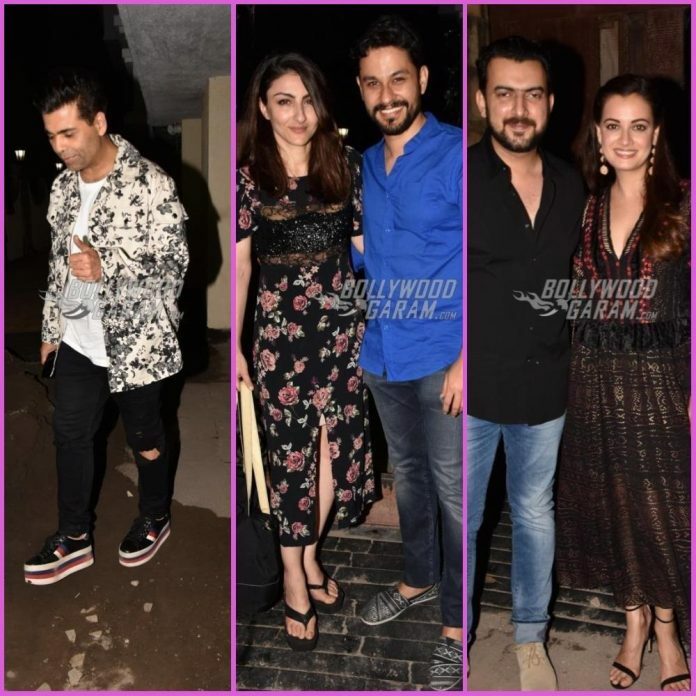 Some of the close friends of the couple including Karan Johar, Yuvraj Singh, Dia Mirza, Sahil Sangha, Atul Kasbekar, Arunoday Singh, Soha Ali Khan, Kunal Kemmu and others were snapped visiting Neha’s residence in Mumbai. 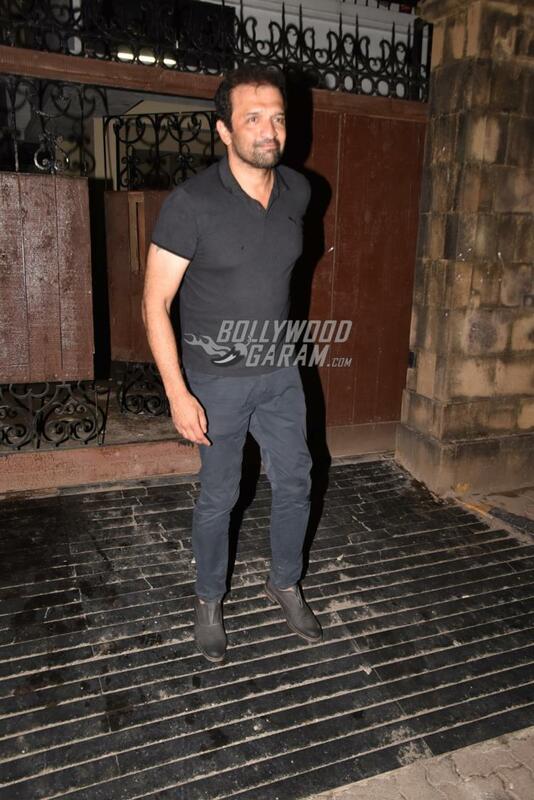 Neha and Angad got married in a traditional ceremony at a Gurudwara in New Delhi. 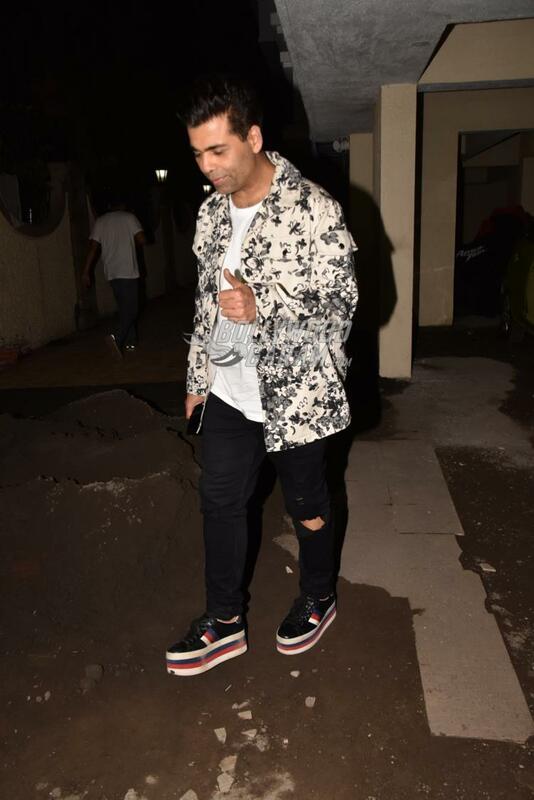 Dia Mirza and Sahil looked great together as they twinned in black outfits while producer Karan Johar opted for a monochrome look. 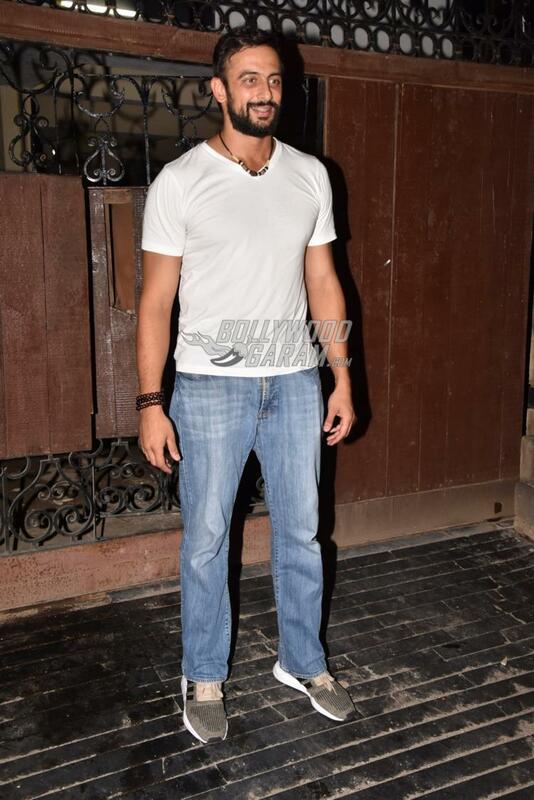 Indian cricketer Yuvraj was seen in a cheerful mood and appeared in cool casuals. 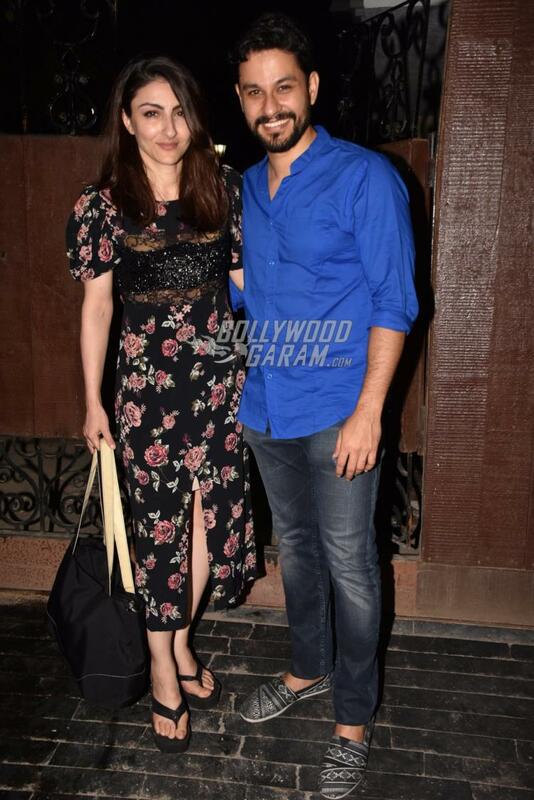 Soha Ali Khan looked pretty in a black floral outfit while husband Kunal looked dapper in a simple blue shirt and a pair of denims. 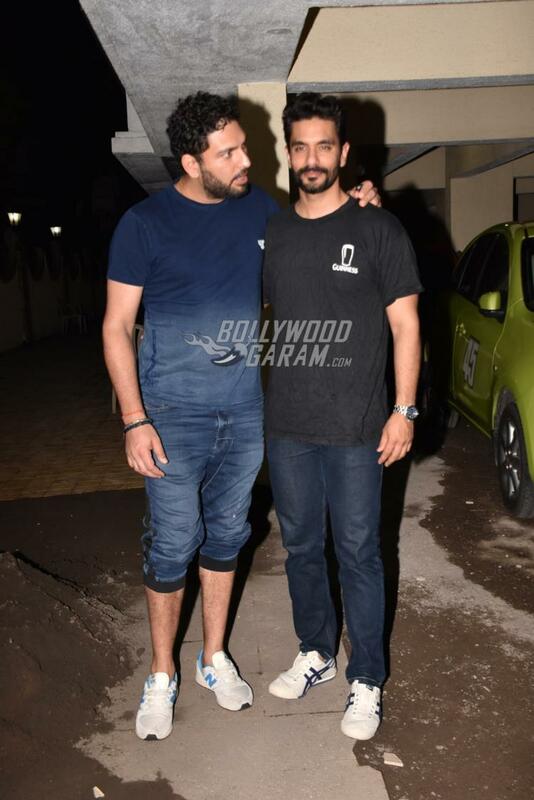 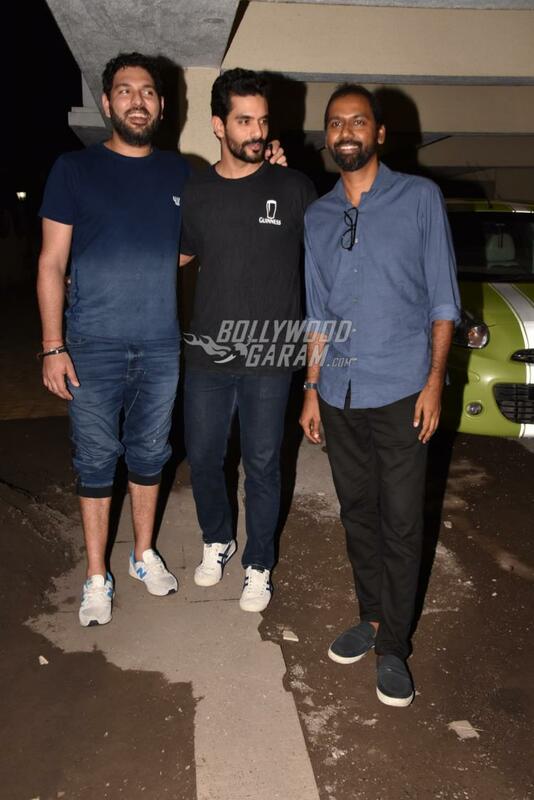 Angad was snapped outside posing with friend Yuvraj and was seen in a simple black t-shirt and a pair of denims.